Wow, I can’t believe we are getting close to the end of our first quarter of school. Looking back, I have to say I am pretty happy with what we’ve accomplished so far. The boys are working hard, and so am I 🙂 So far, I am happy with all of the curriculum we have used, and I’ve gotten a chance to test drive some great things through the TOS crew, which is giving me some good ideas for next year. We’ve been going to our homeschool group for about 3 weeks now and that is going really well too. My oldest son is having a great time working on the “yearbook” staff and my youngest is enjoying Lego club. They both are making friends, and it’s been nice to spend time with other homeschool moms as well. The other day, a friend of mine was over and asked if we planned to continue this all the way through high school. She was concerned about the lack of “socialization” the boys are getting. Honestly, we still take things year by year right now, but I see no reason not to continue. I feel my boys are getting just as much socialization now as they need. “Socializing” in school isn’t all it’s cracked up to be. Anyway, the most important thing to me is for us to have time as a family, which is what we are getting now, and my boys haven’t expressed a desire to return to school at all. I admit, sometimes I still have that question lurking in my mind “Is it going to hurt them to not have the normal high school experience?”, but then I think, what is “normal” anyway? Not everyone goes to high school and has that beautiful time you see on TV, in fact, a lot of people don’t. If my boys are doing well, and they’re happy, that’s what’s most important right? At any rate, we are getting ready to take our first break of the year, and it’s coming at a good time. We are all getting a little fidgety and I think some time off will do us good. We will have a week off, then get back to work until Thanksgiving. I can’t believe how fast it’s going!! As part of the TOS crew, I was given access to an online math program from Math Essentials. It’s called “America’s Math Teacher”. It features online math videos with teacher Rick Fisher who works for the Oak Grove School District in California. The website offers a wide range of classes, from Basic Math, aimed at 4th and 5th grade students, to Algebra for high schoolers. There is also a handy “speed drill” game which teaches practice in basic facts that both of my kids loved! The courses are broken down into lessons, which inlcude a short video (about 5-10 minutes in the younger courses, 5-15 in the older ones). Mr. Fisher does not actually appear in the videos, but you hear his voice as he does practice problems on the whiteboard. There are also printable activities to go with each lesson, which you can download as a PDF, and a complete answer key! My chidlren used both Basic Math (4th grader) and PreAlgebra (7th grader), as well as the speed drills. My boys found the videos helpful and easy to understand, although it took them a while to get used to hearing a voice while watching numbers appear on the screen (at first they thought that was kind of strange 🙂 ) Concepts are thoroughly explained, and an ample number of problems are practiced. I appreciate the fact that the videos aren’t terribly LONG, more like, short clips. For my boys limited attention span, that was about all they could handle. I found that having them watch the video, and then do the practice sheet with the video still up on the computer, allowed them to play it back if they needed further explanation. My older son (7th grade), who has struggled with math in the past, found himself understanding exponents, and doing problems with integers, which makes it a success in my book! My younger son really enjoyed the speed drill. He felt it was more of a game than anything, but it really allowed him to drill his facts. Students can practice all of the basic facts using the drill. It moves pretty quickly, making it a challenge for even older students. I really liked the printables that were included with the program, because it allowed me to “see” that my kids were (or were not) understanding what they were doing. I was also able to pick and choose which lessons they did, which was nice because I didn’t HAVE to start with stuff they already knew! 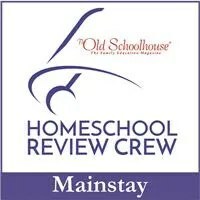 Pricing for a year’s subscription for a homeschooling family is $195.00. I know that is high, and I might not have been able to afford it this year. However, if you are not strong in math, and are looking for an alternative to having you teach your child, the price really isn’t bad. For some other homeschool DVD math programs, you could easily pay $300.00 or more, so when you look at it like that, the price seems reasonable. Not to mention, you can access all the programs for that price, so you could have mulitple children using the website the same year. It’s definitely worth checking out if you want some added help with teaching math to your kids! This week’s blog cruise asks the question “How do you respond to family and friends who don’t support your decision to homeschool?” That’s a very good question. Fortunately, I have many good friends who homeschool, so I get a lot of support there, and my family is mostly of the attitude “if it works for you, do it”, so I haven’t had to deal with it much. However, I have had to deal with “unstated” judgement about the decision my husband and I made to have me stay home instead of work, severely limiting our income, so we could chase this “crazy dream”. You know what I’m talking about…it’s not expressed directly, but you can hear it when they say “but won’t it be harder to pay the bills?” or, “in this economy right now, shouldn’t you hold on to your job?”…yeah, I find that irritating! The emotional side of me wants to say “Who are you to judge what I’m doing?”, and sometimes, honestly, that is the side that wins out. However, I find that in situations that are emotionally charged on both sides, you need a more rational argument to make your point. When someone engages me in a conversation about homeschooling, and I suspect a hostile attitude, I try to remain calm 🙂 (note I said TRY, sometimes it’s REALLY hard). I usually begin by explaining our journey to this point in life, how we spent two years in prayer over this and felt led by the LORD to do things this way. I also give them some details about homeschooling. How it’s much more common these days then it ever was before, and how most homeschoolers have excellent records of success in school, college, and life. Of course, you can quote statistics all day, and to a lot of people that won’t mean a thing! I also try to describe how this decision to homeschool has changed our family for the better. I tell them how my kids (and my husband) get more “mommy time” because I’m not so distracted by holding down a full time job on top of running a household. I explain how we have more time together as a family. Instead of an afternoon that begins at 4:30, with me screaming at the kids to do homework while I’m trying to cook dinner and my husband is in the garage, our afternoon now starts at 2:30, usually with all of us at the beach after school is done. I have more patience now, because I’m not worn out from working all day. My kids aren’t being rushed around all day long, and can take time to just enjoy being a kid…. You know, I think that’s kind of the whole point really. Childhood goes by WAY TOO FAST! I honestly feel like my 12 year old was a baby in my arms yesterday, and I’ve only got 6 more years until he’s an adult! That’s a big part of what drove me to this in the first place…I felt like my kids lives were passing me by, and I was missing MOST of it, because my mind was always on other things. The one thing you can’t get back in life is TIME, once it’s gone, it’s gone forever. I don’t want to miss a minute of the time God has given me with my kids. People can say it’s selfish, crazy, whatever…I don’t care. I know that when my children are grown and out of my home, I will look back on life and know that I soaked up every possible moment I could with them. I didn’t miss a thing. And, hopefully, my children will look back and know that the most IMPORTANT thing to mommy and daddy was the two of them. Period. I don’t need approval from anyone else to do what I know is right for my family. As a member of the TOS Crew, I was given access to a website associated with Time4Learning called Spelling City. This site offers interactive games to help students learn their spelling words, and allows students to practice their words and take tests online! Parents can create their own spelling lists and usernames and passwords for their children. The children then log-in, and play! Many of the activities on Spelling City are free, but for a premium membership, (24.99 per year for up to 5 students) you can gain access to more games, and online grading and tracking of results! To sign-up, you simply enter your name and email. Once you log-in you will be directed to your list management page where you set up your spelling lists for your children. Your children can then access this list by searching for it on the list page by entering your name. The website also includes pre-made lists of Dolch Words, compound words, sound-alike words etc. etc. that you could choose words from. Once students find their list, they are able to practice the words by clicking on the “Teach Me” button. When they do this, a REAL human voice says the word, spells it, then uses it in a sentence. There are a variety of games children can play to learn their words including “hang mouse” , word search, matching, unscramble, and many more. The premium membership gives you access to more games, including Letterfall, which was one of my kids favorites. There are games appropriate for all ages. My seventh grader preferred the more difficult games like Word Search and Sentence and Paragraph Writing Practice, while my 4th grader liked Letterfall, Hang Mouse and Unscramble. There are also audio games as well. My boys would spend about 15 minutes on the computer each day, first going through the “teach me” portion of the lesson, then playing a few games. On Thursdays, I had them take their pre-test online. I will say that this made spelling practice MUCH easier and more fun than just filling in a workbook, and my younger boy, for whom spelling is difficult, did much better on his end of the week tests! As a premium member, I had access to the Teacher Toolbox which allowed me to set up an account for each one of my boys. They would log in with their own username and password and play. I was able to track their activity when I logged in, as well as see their scores on their pre-tests. For the sentence and paragraph writing that my older son did, I was able to pull the writing up and grade it as well. This is a nice feature, as I could easily see how they were doing and what they needed to work on. Spelling city also has printable handwriting activities and writing activities you can use.